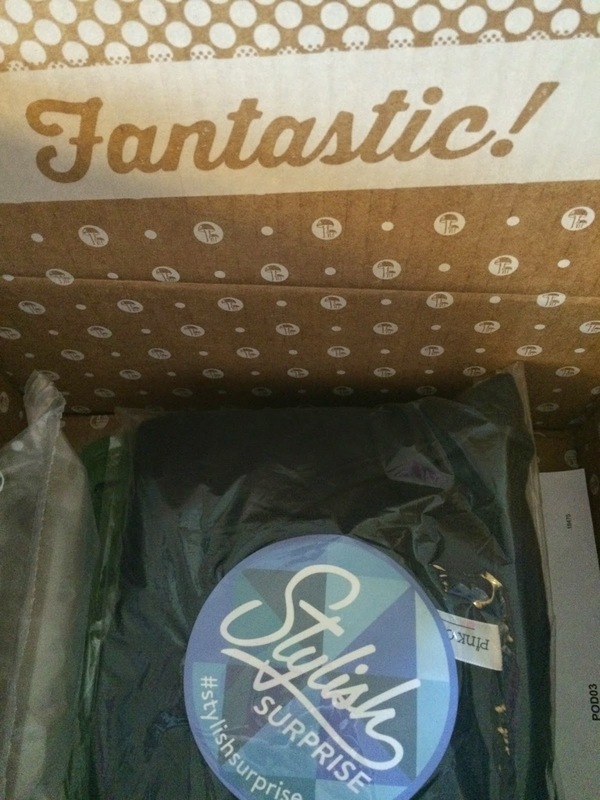 I received my final Modcloth Stylish Surprise order. They are completely sold out! I ordered 2 more apparel items for $15 each, when they were still available. I was hoping for a coat, but when I saw the size of the box and the weight from shipment tracking, I knew it wasn't a coat. I also knew I was taking a chance ordering more and could end up with items that didn't fit or I didn't like. But it's so exciting opening a box when you have no idea what's inside, that I couldn't resist ordering more! Here is what I received. The color looked promising, but from what I could see it looked like 2 fairly plain shirts. Not too exciting. 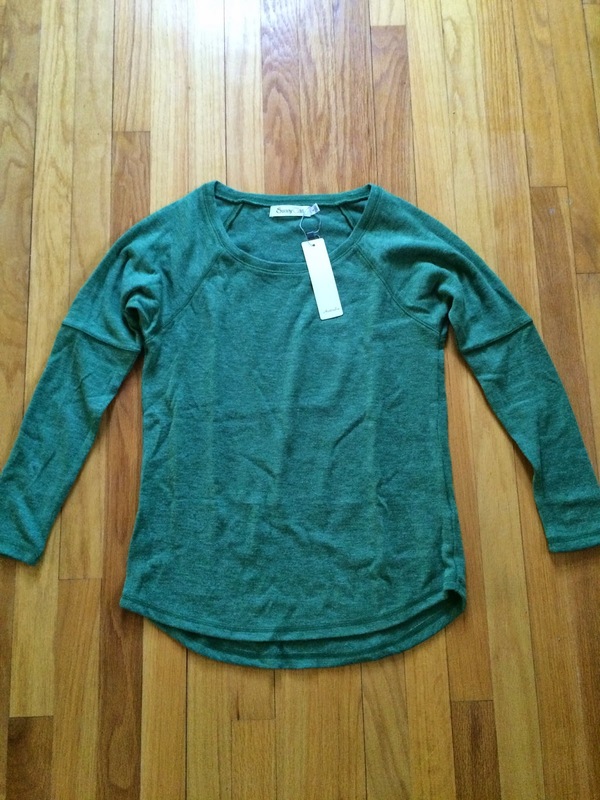 The first shirt was by Sunny Girl and is a long sleeved green shirt. It would be cute and comfy for lounging around on the weekends, but it's quite scratchy, because it's mainly acrylic. I'll still wear it, but will definitely need an under layer, so I'll be saving this for colder months. The other shirt I received was by Pink Owl. 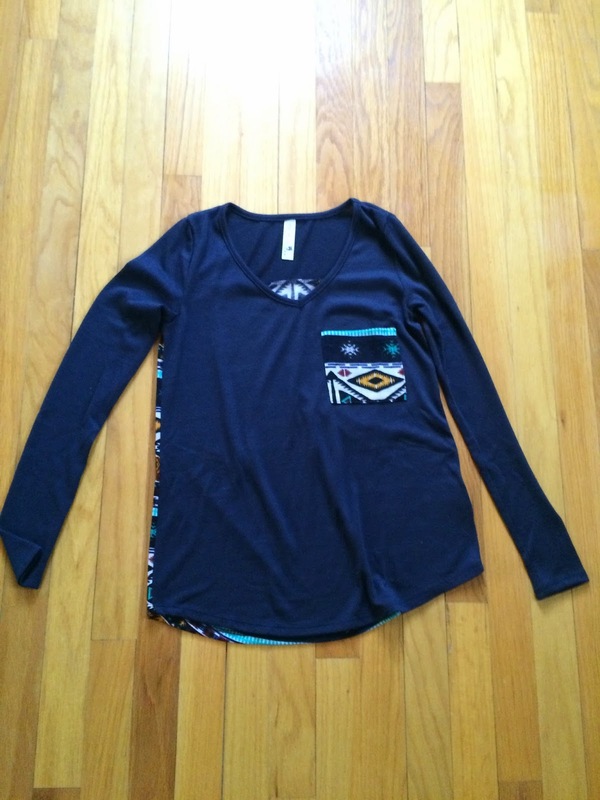 It's a long sleeved v-neck shirt with a patterned pocket and back. This is really soft and cute! It fits a little tight (especially in the arms), but I can still wear it. It's pretty basic and not as exciting as some of the items I've seen others receive and was hoping for. But I'll wear it. I'm not sure it was worth what I paid for these 2 items, even at $15 per item. I think I could have purchased them on clearance in a store for less, since they are just long sleeved t-shirts. 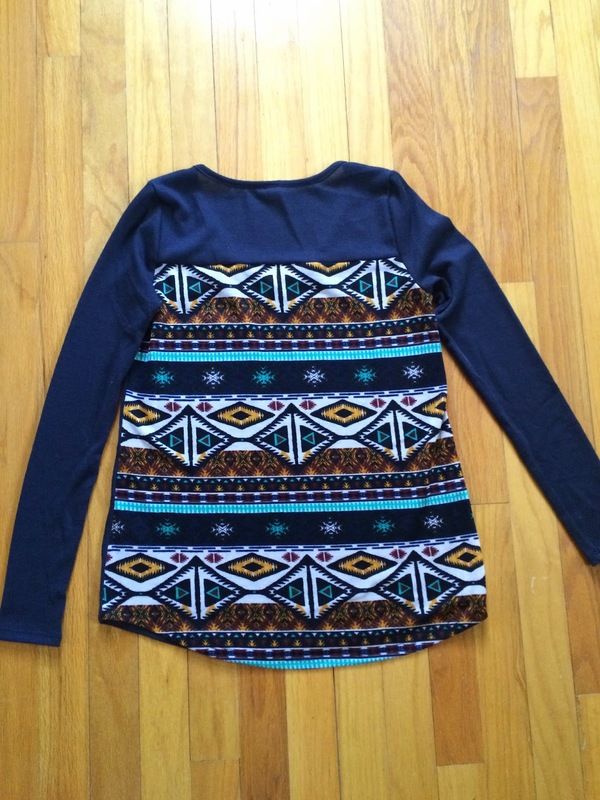 But that's the chance you take with Modcloth Stylish Surprise. You never know what you'll get. And they're not horrible, so I'm not complaining. But now I get to show you an exciting trade I received (that someone got as a Stylish Surprise). 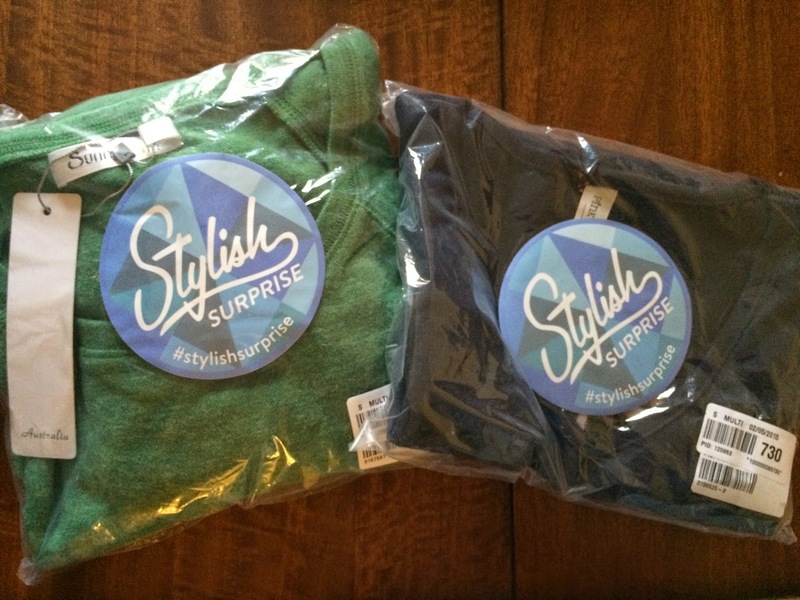 I was hoping for a coat in one of my Modcloth Stylish Surprise packages, but didn't receive one. So, when I had the opportunity to trade for this amazing yellow wool coat by Tulle, I jumped at it. And I love it! *This was purchased and financed by me, unless noted otherwise. Posts may contain referral links and I totally appreciate it when you use them!